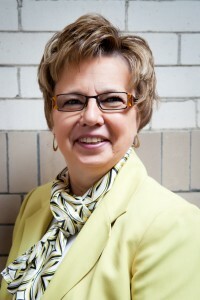 Deb Denbeck is president of Partnership 4 Kids and oversees the operations of the agency as a whole. The thing that Deb loves most about her job is having the opportunity to help more young people. Prior to coming to the P4K, she served as the director of philanthropy at Creighton University for five years, served as a collegiate volleyball coach for 21 years, an athletic director at Southwest Minnesota State University and an associate athletic director at UNO. When Deb is not working she tries to spend as much time with her family as she possibly can. She also tries to carve out a few hours here and there for her favorite hobbies which include sports, entertaining, gardening, working on her home, and traveling.